Have you interacted with this year’s hardworking Green Iowa AmeriCorps team? You’re invited to join the Winneshiek Energy District staff and other community members in celebrating the service of our Green Iowa AmeriCorps members at a community potluck held at Phelps Park on Thursday, August 2nd at 6:30 PM. All are welcome! We’ll gather at the shelter near the gazebo (look for the WED yard signs), eat at 6:30, and have a brief moment of recognition at 7:00 PM. Attendees are invited to bring a dish to pass, a serving utensil, plates/utensils, and a beverage. Ashley Lookenhouse, Emily Osborne, Hannah Haugen, and Drew Peeler have served 1700 hours as full-time Green Iowa AmeriCorps members. Anna Restemayer and Jeffrey Lauck will complete 300 hours as summer members. Together, they have completed over 120 home energy assessments, saved northeast Iowans over $11,000 in home energy savings, worked with community partners to provide environmental education programming, and supported the sustainability initiatives of several area nonprofits and public entities. The Green Iowa slogan is “getting things done”, and these members certainly have done just that! Join us in thanking them and sending them off to their next adventure. Direct questions to kristin@energydistrict.org. See you there! 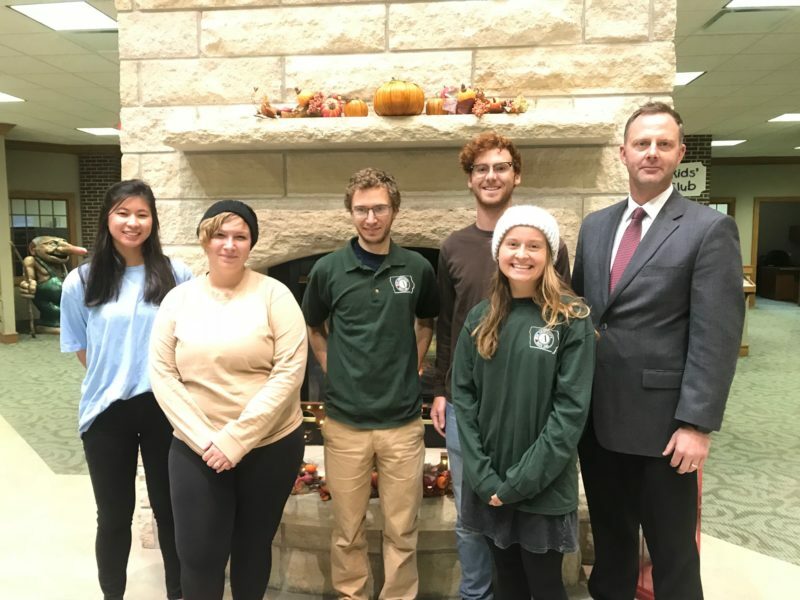 From Left: Green Iowa AmeriCorps full-time members Emily Osborne, Ashley Lookenhouse, Matthew Gaussman, Drew Peeler, Hannah Haugen, and Decorah Bank and Trust’s Ben Grimstad. 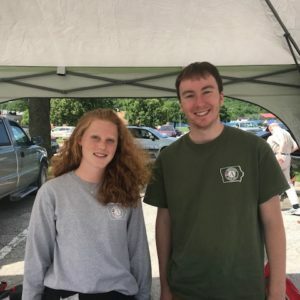 Green Iowa AmeriCorps summer members Anna Restemayer and Jeffrey Lauck.